No Virtual Console games this week, but Nintendo isn't skimping on the classics. Studio Pixel's classic indie adventure Cave Story sees its triumphant return as a remake for WiiWare, and three Game & Watch titles pop up on DSiWare. 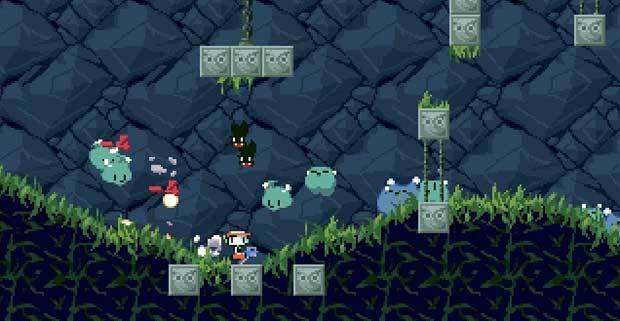 This week's download is a no-brainer -- you simply must get Cave Story. Last night, I fired up the freeware version to prepare myself for today's release, and can't wait to play the update this week. As for the Game & Watch games, it's tempting, but with my DSi XL on the way (and no way to transfer DSiWare games from one DSi to another), I think I'll hold off. Where are your Wii Points and DSi Points going this week?